What the heck, let’s look at five more automotive-related links in this week’s Thursday Drive-By. We’ve got a taste of Hollywood, a dash of nostalgia, and much more in the latest installment. 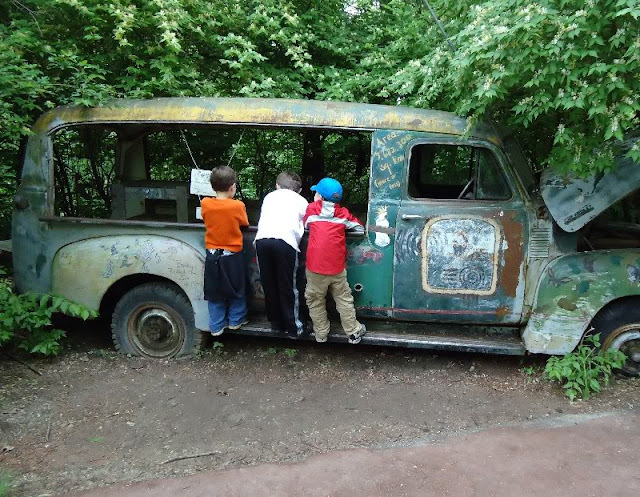 There’s a fantastic story about a great American road trip in the 1940s and ‘50s, a current road trip that passed through Kansas City last weekend, and a car museum that hasn’t been part of anyone’s road trip for quite some time. Plus, there’s a little feature on the greatest road trip movie ever made. Check out the links below, and broaden your online automotive education. So what do you like? Pontiacs? MGs? Swap meets? Maybe you just want to attend a generic cruise or car race. Well, all of that and more is within a short drive of your Kansas City-area home this weekend. The Show-Me Rods have been hosting their show for 35 years now. There are all-Ford shows going on in Kansas City, Wichita, and Topeka. And look for cruise nights in Overland Park, Blue Springs, and more. The entire Kansas City car show, car cruise, and car racing schedule is listed below. Gladstone, Mo., is the site of one of the lesser-known car cruises out there, but it has an advantage that the others can't claim. On the last Sunday of the month throughout the summer, the Cowtown T's hosts this event in the parking lot of the Gladstone HyVee. But what draws me in is the Maid-Rite Sandwich Shoppe that is located inside the adjoining gas station. Those loose-meat burgers have been around since the 1920s, but I never could understand why they didn't take off more. I'd rather eat those than a normal McDonald's or Burger King any day. The place: historic downtown Liberty, Missouri. The time: Saturday night, May 26. The event: the Downtown Liberty Cruise. Your mission: go there and have a good time. As it turned out, lots of folks accepted that mission, because as is often the case with this one, the cars were lined all the way around the courthouse on both sides of the street. Sure, it was a little on the muggy side early, but the temperature dropped a bit eventually, and everyone seemed to be having a great time enjoying all the cool cars. Here’s our weekly look at the interesting car-related links from around the Web. This is Indy 500 weekend, so two of these posts feature aspects of the big race. One of them gives us a little vintage pace car history, and the other gives us an inside look at where the current open wheel cars are built. We also look at some cars in less-than-ideal situations. The ghost of Christmas past shows us some vintage car crash pictures, and the ghost of Christmas present brings us some abandoned Packards that are set to be auctioned off. The ghost of Christmas future features a Crosley Hot Shot, which may be our mode of transportation someday as the government demands higher fuel regulations. Check everything out below. 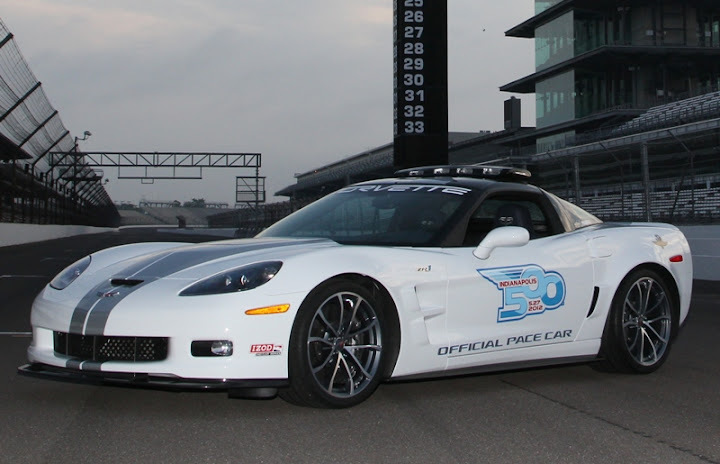 The Indianapolis 500 is this weekend, and since a Corvette ZR1 was chosen as the official pace car this year, we're taking a look back at Chevrolet Indy pace car history. Of course, Indy is the oldest running race in the U.S., and among the most respected in the world. More than any other, Chevrolet has been the car chosen to pace this historic event, including the past eleven years consecutively. And even before that, brothers Louis and Arthur Chevrolet, competed in the very first Indianapolis 500 on May 30, 1911. It may seem like the first Chevy Indy pace car was the 1967 Camaro, because that’s the one you seem to hear about the most. But actually, bowties took the helm twice before that. Way back in 1948, a Chevy Stylemaster convertible was used as the Indy pace car. This stately Stovebolt was appropriately decorated with colorful pace car graphics that encased the entire side of the car. Then in 1955, the first year of the popular small-block Chevy V8, a red and white Bel Air convertible led the field. Memorial Day is when Americans remember those who have died while in the armed forces. Of course, one of the ways we do that is with huge car races. This weekend is the 96th running of the Indy 500, as well as NASCAR’s Coke 600. And there is the usual selection of great local racing on tap as well. More into the old car scene? There’s a lot of that too. Big cruises are going on in Belton and Liberty, and there’s even a Sunday cruise in Gladstone. Or get into the spirit of the weekend by checking out the vintage military vehicles, which will be on display at the World War I Liberty Memorial on Sunday and Monday. Check out the entire Kansas City car show, car cruise, and car racing schedule below. In 1958, the novelty music group known as The Playmates went to #4 on the Billboard music charts with a crazy little tune called “Beep Beep.” You’ve probably heard it, but if you haven’t, here’s the gist. A guy in a Cadillac is driving along when someone in a little Nash-Rambler appears to challenge him to a race. The song’s tempo gets faster and faster as the guy drives faster and faster to try and outrun the Nash. How can you like cars and not dig old Cadillacs? Even the emblems are cool. I mean, you look back at those big fins and all the chrome doodads and you can't help but smile. They're just so lavish ... almost to the point of being ridiculous. I love 'em. And so, I made it a point to be at the City Market on Sunday, where the Cadillac Club of Kansas City was the featured display for Art of the Machine. No, it wasn't the biggest display of cars I've ever seen, but there were some good ones. And old Cadillacs are such that even a small number of them gives you plenty of little details to study. There’s a whole world of cool stuff out there on the Internet, but sometimes you just don’t have time to go search for it. Well, I’m here to help. Here are five links to things that I think you might find interesting out there on the old web. As usual, they are mostly car-related. I am adding a link about an airplane, but I think you’ll like it anyway. There are also old racing photos, old racing cars in new photos, movie cars, and a dream car restoration. See all of this and more by checking out the links below in this week’s Thursday Drive-By. If you are in Kansas City, there are tons of car things to do this weekend. Head to Topeka for some NHRA drag racing. Cruise over to Basehor for a fun, laid-back car show in the park. Check out the radical works in progress at the Tallant’s Hot Rod Shop Open House. And this is just the tip of the iceberg. How about the cruise Saturday night in Platte City? Or maybe your tastes run toward the dirt tracks at Lakeside and I-35 Speedways. Like big cars? The Cadillac Club will be at the City Market on Sunday. Like small cars? There will be a micro and mini car show in Westwood. The complete Kansas City car show, car cruise, and car racing schedule is listed below. Plus check out the NASCAR and NHRA television schedules at the end of the list. Do you ever look back at all the wild concept cars of the 1950s and ‘60s and imagine what it would be like to relive that excitement? The beautiful shapes and outrageous ideas often predicted a future that never came. 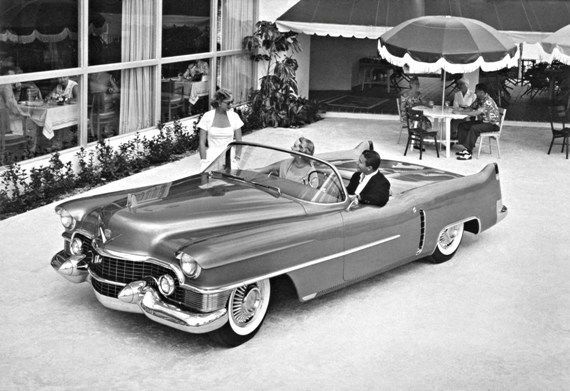 For example, in 1958, Ford offered the Nucleon Concept—a car that was supposed to be powered by a nuclear reactor. In 1953, General Motors offered Harley Earl’s radically styled Firebird I Concept, which looked like a jet airplane and ran off of a turbine engine. Chrysler really took the turbine thing to new levels with the 1963 Turbine Cars, which could run on tequila, among other things. I lived in Omaha as a kid, and Nebraska Furniture Mart was the place in town to buy furniture. I remember my parents dragging me through there on occasion to look at couches or whatever. The diminutive Mrs. B would be scooting through making sure everything was in order. So big was the Nebraska Furniture Mart that even when my family moved to Kansas City, they still bought new furniture from the Omaha retailer. And it wasn't just them, either. Turns out that lots of Kansas Citians took advantage of the deals from the giant store. For several years, when you talked about the best weekly car cruises in the Kansas City area, the Friday night gathering at the Longbranch on Metcalf in Overland Park was usually right at the top of the list. Even at the end of last season, they were pulling in what appeared to be well over 100 cars per event. It was a social hot spot. This year, I kind of wondered if it was going to happen. The Longbranch shares the parking lot with what was a vacant Chili's, so they had lots of unused space to spread out. During the off-season, that building was re-inhabited by an IHOP. The scuttlebutt among cruise participants was that it would put an end to the weekly festivities. One of the most colorful and revered figures in automotive history has passed away. Carroll Shelby died on May 10 at Baylor Hospital in Dallas, Texas. He was 89. The cause of death was not disclosed. 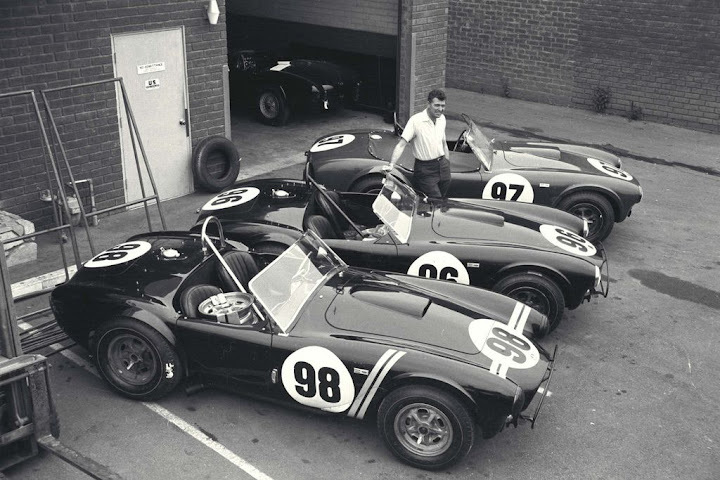 For more than 50 years, Shelby's influence has been clear on race tracks, in the performance car world, and more recently in the realm of classic cars. Let's take a quick look at the career of this giant of the automotive industry. BHo played a basketball game in Riverside Saturday morning, so we decided to try and catch the American Street Rod Association (ASRA) Cruisin’ KC Car Show, which was held right next door to the basketball complex at the E.H. Young Riverfront Park. When we drove to the entrance of the park, a nice gentleman walked up to my window and asked for $7.00 per person to go check out the show. I glanced over at my wife, who had absolutely no interest in being there, and decided to take her home instead of paying the extra seven bones. I’m not saying that I’m cheap, but, well, I’m cheap. It takes like a month for these line ads to add up to $7.00 on this blog. I’m not wasting the money on someone who doesn’t want to do it. We’ve got an Oldsmobile, a Ford, Cadillacs, race cars, and a little folksy truck prose for this week’s Thursday Drive-By. Sometimes I see this stuff, and I’m jealous because I didn’t get to write about it! The selection is kind of like an old 3-in-1 model car kit. The stories include Stock, Custom, and Competition. There are some sources that may be familiar to folks here, and some that may not be. But as a whole, I think you’ll be pleased with this week’s collection of links. Check ‘em all out below. A big truck can transform you, frustrate you, and satisfy you. This is what I learned after spending a week with what may very well be the ultimate three-quarter ton General Motors truck on the road, a 2012 GMC Sierra Denali 2500 HD Crew Cab 4X4 with a Duramax 6.6-liter turbo diesel. Given the right circumstances, this is an uncompromising, amazing, sophisticated wonder. Given the wrong circumstances, it is nothing but compromises. But all told, I really loved that rig, and was truly sad to see it go. Mother’s day is this weekend, and mom wants to do some car stuff. Luckily, there is a full schedule here in Kansas City. The big Nebraska Furniture Mart car show is Saturday, so you could take mom there and also pick up a new sofa. Or check out a cruise night in Basehor, Overland Park, or North Kansas City. This car and airplane show at the New Century Airport looks interesting, too. Plus, it includes a dance, which your mom might enjoy. Whether your mom likes car shows, car cruises, or car races, there are plenty of all of them in Kansas City this weekend. See the full calendar of events below. All together now: Craig’s favorite vehicle is the … Chevrolet Corvette. Yes, I do love them. Small, two-seat Chevy sports cars stuffed with some of the most powerful V8 engines on the planet—what’s not to like. If I had won that record Power Ball a few weeks ago, I’d own five or ten of them right now. But I didn’t win, so I don’t own any. That’s why I have to get my fix of Corvettes from other places. And in the Kansas City area, there was no better place to feed that need than Superior Chevrolet, where they hosted the annual Kansas City Corvette Association (KCCA) show. And as usual, a fine field of fancy fiberglass graced the main lot. Lakeside Speedway has a rich history in Kansas City, but when I reported from there at the beginning of last season, it looked like that history was going to come to an end. Well, I went out there Friday night, and I am happy to tell you that Lakeside is back and better than ever, and it is definitely a place that you want to check out this summer. Opened at the Leavenworth Road location in 1955, Lakeside hosted some of the biggest names in the early days of racing. Right up until it closed, Lakeside was the most popular dirt track in the area, drawing a rabid following of fans and cars. Once again, I have scanned the Internet in search of some fun stories and unusual links for your automotive viewing pleasure. This week we look back at the truck races at I-70 Speedway, the car culture in Cuba, and the creative world of Lego cars. Some of these are more current stories, and some of them are older collections. I’m just trying to find things that I personally think are interesting, which I hope, in turn, will be interesting to you too. Check out the links below and see what you think. 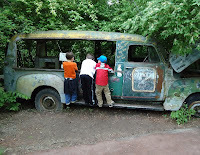 And as usual, if you like this blog, feel free to share it with your friends too! I love living in Kansas City. There are just so many options if you love cars this time of year. Looking to rebuild a car? Check out the swap meet in Lawrence. Like street rods? They’ll be in Riverside. Like Corvettes? There’s a big show at Superior Chevrolet. Need to buy some fresh vegetables while you’re checking out the classics? Be at the City Market Sunday morning. They’ll be cruisin’ ‘em in Parkville and showin’ ‘em in Belton. And that doesn’t even include the full schedule of local short-track racing events throughout the area. So jump in—the water’s fine. The entire Kansas City car show, car cruise, and car racing schedule for this weekend is right here.